The course was a wonderful opportunity to meet students from different nationalities and cultures. I joined in many of the social events, which helped me to meet more students and to improve my speaking. This course (May to September) is delivered in Canterbury with approximately 25 hours of classes per week. Please note this course incorporates a one-week break in June. Each day is comprised of three sessions focusing on reading and writing, project work, and listening and speaking. Students are grouped according to the subject of their further programme of study for the reading and writing, and project work sessions. This allows these sessions to focus more specifically on materials and skills relating to a specialist area. During the listening and speaking session, students’ nationality is taken in to account to create classes containing a wider range of nationalities. Teaching includes seminars, workshops, lectures, independent research tasks, as well as group and pair work. The course aims to further develop your writing, reading, listening and speaking skills and enhance your academic skills in preparation for undergraduate or postgraduate study. 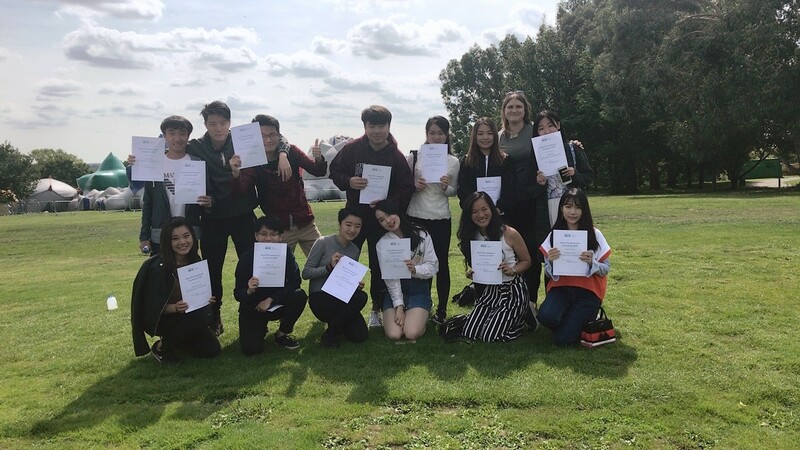 The programme is suitable for undergraduate and postgraduate International students intending to study at Kent, who do not have the required level of English to allow them to start their intended degree programme; this includes all degree programmes with an entry requirement of IELTS 6.5, 7.0 or equivalent. If you complete the Pre-sessional Course, and achieve a final grade which meets your condition of entry, you will not need to take an IELTS examination. Speaking: development of oral skills to structure and present reasoned arguments for seminars and academic presentations. The assessments for this course will be comprised of coursework and a final examination (Kent International Test of English – KITE). Coursework assessments (formative and summative) include: individual presentations, seminar participation and writing assessments essay and/or report. Practice KITE tests (formative) will also take place in preparation for the final test. Further information relating to your assessments will be provided in your Student Handbook.